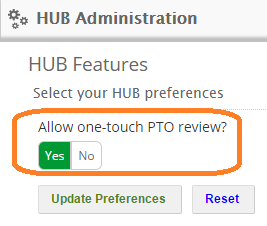 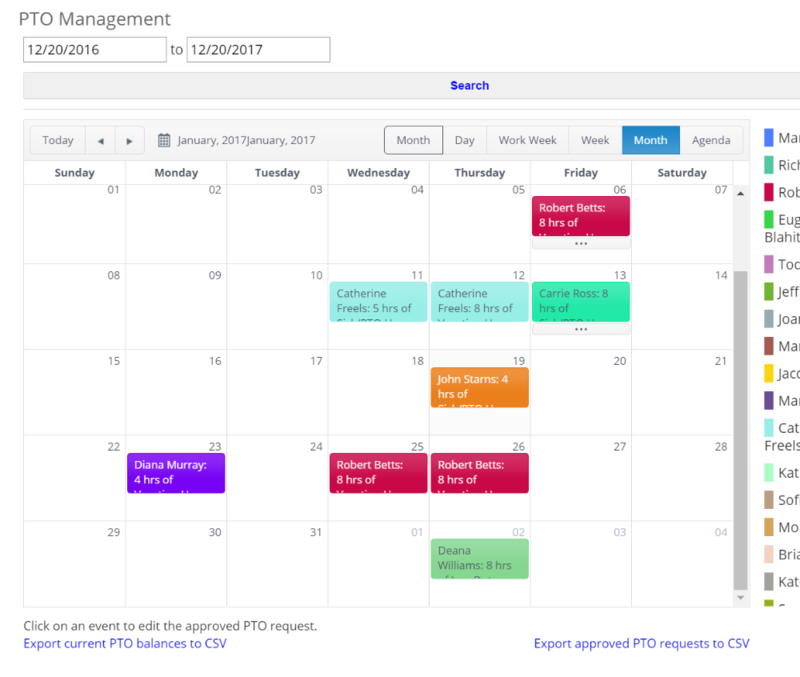 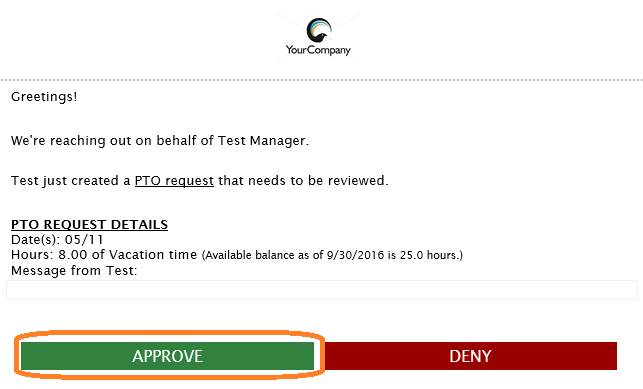 They may also wish to first review all requests via the PTO Calendar from the PTO Management task bar. 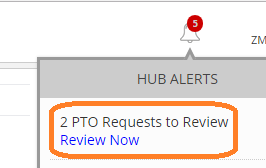 The manager can access the request via the HUB Alerts or by reviewing alerts from the "Clock" tab. 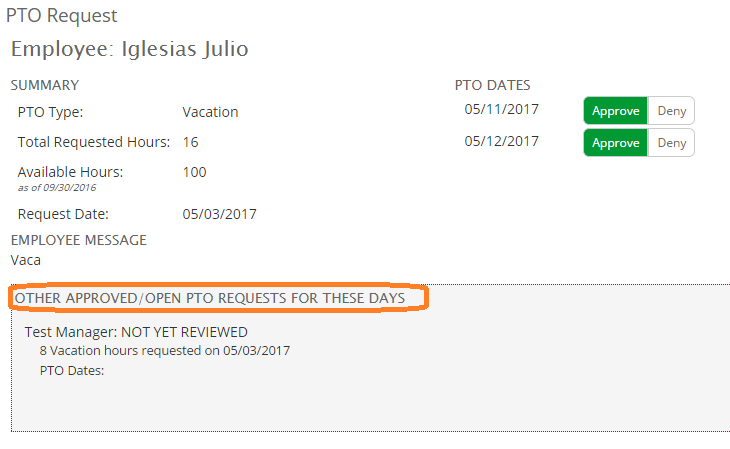 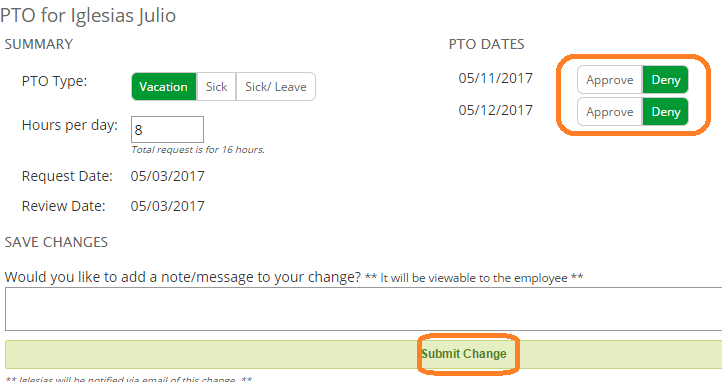 While approving in-app the manager also can see available balances, and whether or not others have requested the same day off.